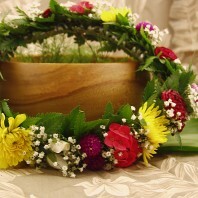 Categories: Blue Leis, Fresh Wedding Leis, Green Leis, Hawaiian Flower Leis, Hawaiian Leis and Corsages, Men's Leis, Purple Leis, Specialty Leis. 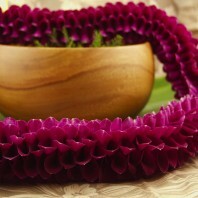 Kalihi lei are another carefully styled and beautiful orchid lei. 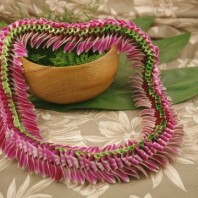 Again our lei makers carefully fold the petal of each flower. 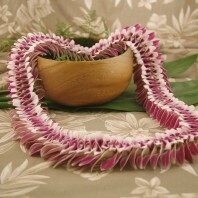 This lei is appropriate for men or women. 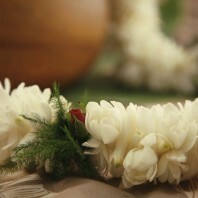 It can be presented at any customary event. 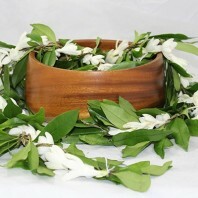 Kalihi lei for graduations are always popular. Choose from three colors. 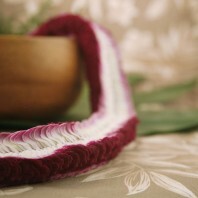 The traditional purple and white orchids are sewn to show the balance and contrast of the rich purple and pure white. 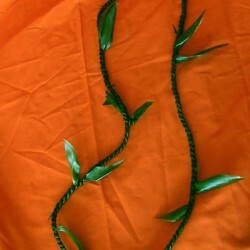 The jade lei uses soft green and white orchids with the same effect. Some colors may not be available during graduation season. 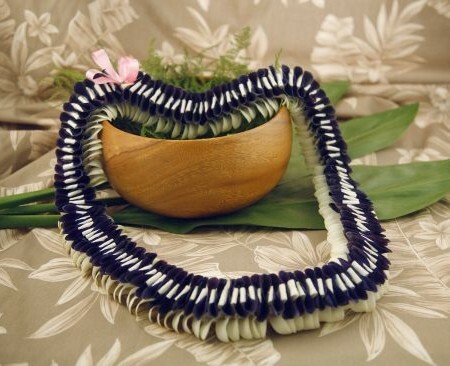 Looking for a blue flower lei? 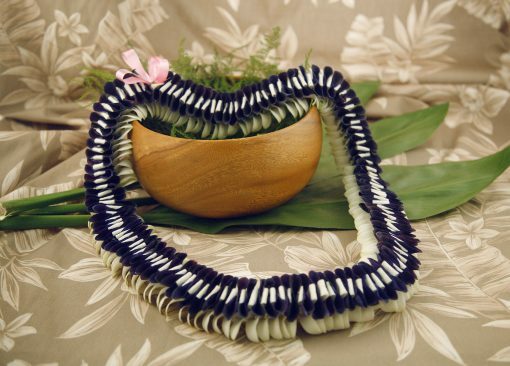 We make the Kalihi with color infused orchids in a deep blue. 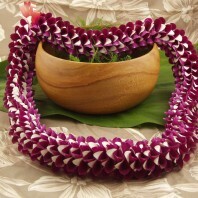 This is for the graduate lei-wearer’s school color. 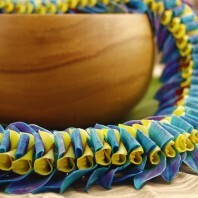 Or for the bride who has chose blue as one of her colors. 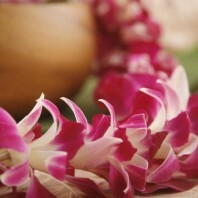 Blue orchid leis must be ordered 7 or more days before the ship date. 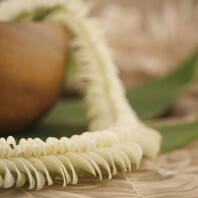 Named for a neighborhood on Oahu, Kalihi is an historic melting pot area. Working class immigrants settled in Kalihi who’s name means ‘place of transition’.